More people join to use Apache Spark for complex ETL (Extract Transform Load) jobs and building Machine Learning models. Data Scientist may use Spark interactively with Jupyter Notebook or similar notebook environment coding in Python with PySpark or in R with Sparklyr. 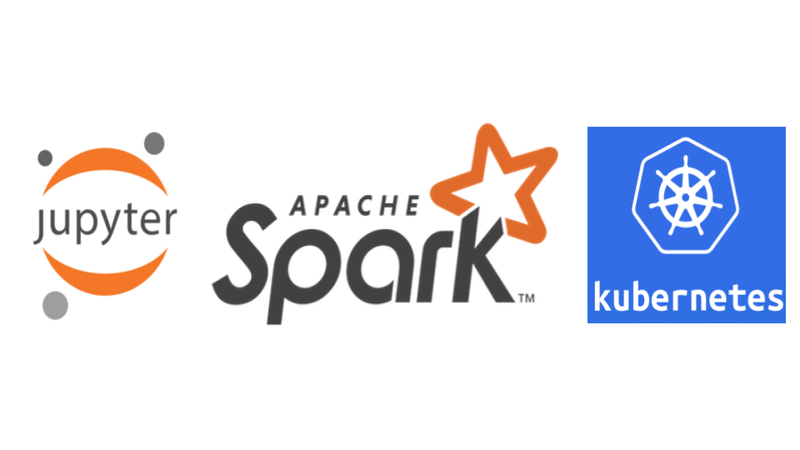 If you are a Data Scientist who wants to try out Spark for the first time, (and your organization does not provide such set up for you), you may struggle with the very first step: How would one set up a Spark cluster on a cloud computing service? Note that I didn't include services like Hortonworks or Cloudera as they seem to require more commitment before you can try out. Also, the options above are all targeting to deploy on AWS. Microsoft announced Spark on HDInsight and it should allow you to run sample projects for free with their notebook features. This is probably the quickest path to a notebook environment connected to Spark clusters. Both Databricks and Qubole provides a tryout period or community edition to run a small cluster. Qubole offers a tryout period. You can start up to 4 clusters. Pricing information is not available on the web page. Qubole seems to be preparing its Community Edition as I write this. For anybody who does not mind spending extra per hour, those are great options. You can spin up a cluster with a click and start coding in the notebook. It is also good if you need to manage the cluster usage of a team or an organization. The notebook is their own versions but the interface is very similar. You can connect to AWS S3 of your account to work with your own data. If you don't have to manage multiple team members' cluster usage, spinning up a cluster of EC2 instances via EMR is one of the cheapest ways to go. After you create an AWS account and create a security key pair, you could set up a running Spark cluster and a Jupyter Notebook interface within an hour by following this instruction. In order to access the Jupyter Notebook, you need to set up an ssh tunnel and configure proxy settings on the web browser. It is not as scary as it sounds though. The Jupyter notebook from the above instruction comes with various examples including PySpark and Sparklyr. The good thing about this environment is that you can save the work in the notebook directly to S3 so it won't be lost when the cluster is terminated. For starting a cluster, "manual" setups sound a lot of work. But Kubernetes is making our life really easy to orchestrate the Docker containers. I tried this option. After finding the right resource, it would not be so hard if you are familiar with Docker. My struggle was to find examples of the Docker containers for Spark Master/Workers, Jupyter, and Kubernetes configuration files. Luckily, pipeline.io by Chris Fregly worked so hard to provide everything we need. I just had to follow the step-by-step command line from this tutorial. pipeline.io comes with other great open source tools to visualize and manage the status of the cluster. It is also scoping to deploy the model into the production. The Community Edition of pipeline.io is completely free. You just need to pay for the cost of your AWS usage. pipeline.io seems to be preparing an Advanced Edition. This option certainly requires engineering knowledge such as Docker. But it is the most flexible option with the possibility to streamline the process and deploy the model to the production. Another advantage of this option is that you can run the same docker containers on the local computer for a small scale test run. Get the code done and tested locally with a small data set could save a lot of money at the end. Daigo Tanaka, Ph.D. is a founder of Anelen Co., LLC, a boutique consulting firm focused on Data Science. He introduced an agile start-up methodology to a pre-Stage A startup and helped to raise the total of $105MM. If you need a consultation on the topic of a startup operation and data science, please don't hesitate to connect him on LinkedIn or send a message.